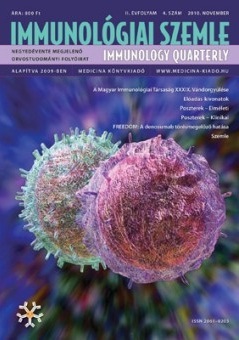 Rendezvény kezdete: 2019.11.28.Rendezvény vége: 2019.11.30.
it is an honour and great pleasure to continue in the tradition of joint meetings of the Middle-European Societies for Immunology and Allergology (MESIA) by inviting you to its already 4th meeting, this time in Slovakia, Bratislava-Šamorín, in November, 2019. The previous assemblies in Vienna, Opatija, and most recently Budapest, were resounding successes, and great contributions to sharing knowledge in the diverse and fascinating field we chose to be our vocation. Establishing and promoting scientific networking and exchange in our region is bound to increase the quality, salience, and impact of our work. Due to their complexity, the fields of immunology and allergology especially benefit from the free flow of ideas and an intense collaboration among experts, each elucidating the facet of these disciplines in which they are the most proficient. The conference will cover the entire range of our disciplines, from basic science to applied and clinical research, from diagnostics to treatment. Let us make our predecessors, such as Ignaz Semmelweis (Hungary), Milan Hasek (Czech Republic), Karl Landsteiner (Austria), Jan Stefanovic (Slovakia), and others proud to have their followers. Let us foster novel thoughts, with an eye towards providing young scientists with a forum to discuss their ideas, and again push forward the boundaries of human knowledge. The organising committee and I cordially invite you to the MESIA conference; we will do our best to make you feel welcome, find new friends, and become acquainted with the capital of Slovakia and its culture.